It’s been five years since I promised my friend, Delle, I’d write a book about dealing with the death of a friend; almost two years since its form finally became clear to me. I’d already spent over two years mulling it over, writing in fits and starts (mostly fits) before hitting the wall. I’d given up, but one day, it was just there like magic; or karma. 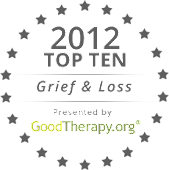 I began by researching the whole phenomenon of “disenfranchised grief”: grief that is not acknowledged or respected. Grieving the death of a friend certainly fit the definition. I already knew from personal experience that while everyone at some point will experience the death of a friend, most people are not very sympathetic of others’ grief. The title of my book reflects the most common reaction: “It’s not like they’re family”. As someone once said, there are things I know for sure, and things I just guess at. The most basic thing I knew for sure when I started out was that everyone has a story. With few exceptions, I get the same reaction from people when I tell them about my book. They might be enthusiastic, or neutral, or sometimes dismissive. But then there’s a pause in the conversation, and they say, “You know…” That’s when they tell me a story about a friend who died. When I realized how universal that reaction was, I knew I was on to something. I also knew I had to include 9/11 in the book; it’s too big, too unique to ignore. I’ve made several trips to New York, toured every related museum or exhibit, talked to people who were there, and others like me who were affected from a distance. I’ll go back in September for the 10th anniversary observances, hopefully to hear my classmate’s name pronounced correctly this year during the naming ceremony. The loss of life on 9/11, and the friends left behind, could easily be its own book, but that’s a discussion for another time. Only one thing has surprised me (other than how long it’s taken to actually finish writing the book), and that’s the willingness of men to tell their stories. I go into an interview with roughly 30 questions, all open-ended, to get the person talking about their friend. One reason I have those questions is because I assumed getting men to talk would be akin to pulling teeth without an anesthetic. I couldn’t have been more wrong. I’ve asked others why these men have been so willing to bear their souls to me, to share their memories and their pain and their love for their friends. I don’t think it has anything to do with me; I think it’s more basic: someone asked. And I believe I will write another book, just about men grieving their friends. But first I need to finish this one. I’ve set an arbitrary deadline of Labor Day weekend, to finish all but the 9/11 chapter. I chose the date at random, but in reality, it has great significance. Five years ago Labor Day, I was visiting my friend, Delle, in the hospital. I walked into her room as her doctor walked out, having told her the cancer had returned for what would be the final time. Since I promised Delle I’d write the book to begin with, it seems somehow perversely appropriate. I’ve learned other things along the way: that there is a market for my book, that people are incredibly generous with their time and their memories, that I have a posse that’s pushing/cheering me on. “You gotta have friends,” the song goes, and it’s true. What is reinforced for me every day is that even when those friends have left us, they’re always in our hearts. You have a worthy and mighty mission here and your book will open the channels of healing for the loss of our friends. Congratulations and I look forward to reading your book. Thanks, Kathy! It means a lot! Should You “Un-Friend” Dead Facebook Friends?